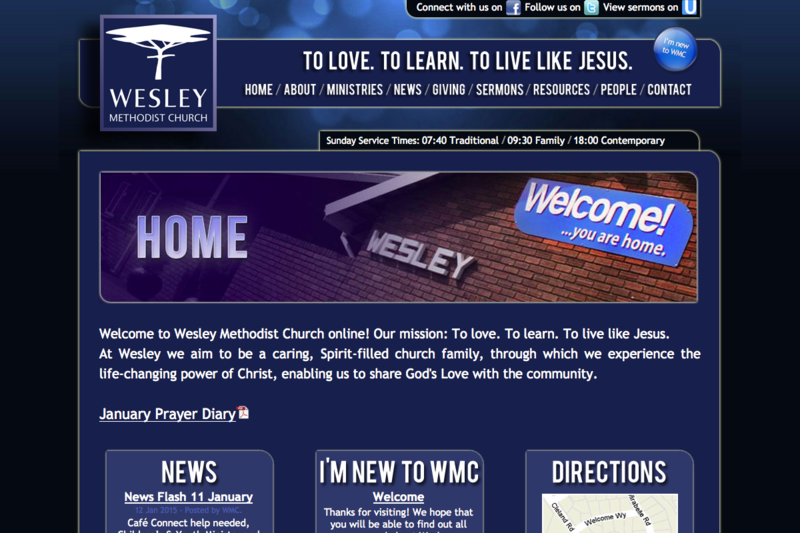 Wesley Methodist Church aim to be a caring, Spirit-filled church family, through which they experience the life-changing power of Christ, enabling uthem to share God's Love with their community. This is advanced website boasts 3 main content areas, namely the news, sermons and resources sections. They are all powered by the BlueBox 2.0 Content Management System (CMS) and therefore they are easy to update and maintain. Members of the church and prospective members can easily listen to and download sermons as well as gain access to the growing collection of resources.